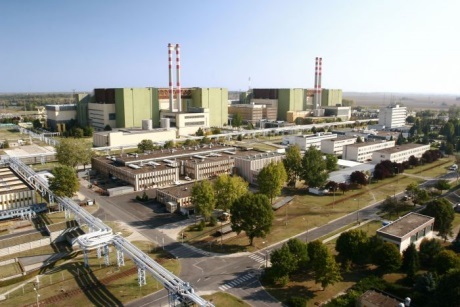 The Hungarian National Atomic Energy Office (OAH) has extended the operating licence of block 3 of the Paks Nuclear Power Plant by another 20 years, state news agency MTI has reported. Meanwhile, the government plans to cut the capital increase earmarked for MVM Paks II nuclear power plant - the company responsible for expansion of the plant. Paks, located 100 km south of Budapest, currently comprises four Russian-supplied VVER-440 pressurized water reactors, which started up between 1982 and 1987. These units provide one-third of Hungary's electricity. Paks 3 was commissioned in 1986 and its operating licence was set to expire on 31 December last year. OAH said earlier that month it had received an application to extend the operating licence of unit 4 for another 20 years, until 31 December 2037. Units 1 and 2, which received their 20-year licence extensions earlier this decade, will operate until the ends of 2032 and 2034, respectively. The European Commission last year cleared Hungary's award of the contract to Russian state nuclear corporation Rosatom to build the two new units. It has examined two matters related to Paks II - procurement and whether funding of the project amounts to state aid. On 17 November, it closed the infringement procedure it had launched against Hungary over public procurement rules in connection with the project. It is still investigating whether there is state aid. MVM Paks II received an environmental licence in late September and in October submitted a site licence application for the two new units. A public hearing on the project was launched in the city of Paks on 13 December. The first Paks II unit is to be completed in 2025 and the second in 2026. MTI also reported last month that the government plans to amend the 2016 Budget Act and, among other cost cutting measures, reduce spending of HUF113.1 billion ($3.9 million) this year on a capital increase at MVM Paks II by HUF80.8 billion.